If you decide to travel to the United States for your next holidays, there’s nothing better than splashing around in the pool during the relentless warm days. 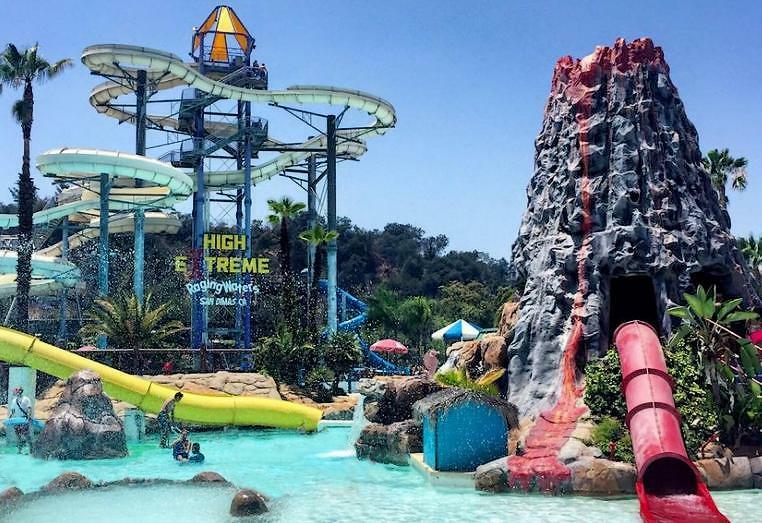 There’s no point in going to another country just to do this, so the United States offers you the chance to add some excitement to your holidays with such a huge list of water parks that you won’t know which one to choose. When planning your trip to the US, don’t forget to apply for your ESTA beforehand, as it is required to board your flight. This is the United States’ biggest water park, with 51 slides, two wave pools and a surf simulator called Surfing Safari. Although Noah’s Ark is perfect for the whole family, young adrenalin lovers can’t get enough of the vertical fall slides like the Scorpion’s Tail. The Black Anaconda is also in the park and is advertised as the country’s most thrilling water coaster, taking the riders through its dizzying course at incredible speeds. Schlitterbahn Park in Kansas City is part of a group of water parks which stands out because its attractions are joined by rivers. The interconnected river system that takes you through the park on an inflatable float which passes through rapids, currents and tidal waves. Slide through tunnels on tubes and mats. You can also feel the adrenaline of the Storm Blaster water coaster and Boogie Bahn surf ride. This park is known for housing the world’s two longest water coasters: Mammoth and Wildebeest. In Mammoth, a six-person boat carries the passengers to the top of a seven-storey climb before descending a track with the same number of drops. Wildebeest, has underground tunnels and drops which increase its speed. Not sure if you can apply for ESTA USA? Check this exhaustive list of frequently asked questions about ESTA Application requirements. The Waterworld park has approximately 40 water attractions. Its star attraction is the Mile High Flyer water coaster due to its intensity and speed. Another one that’s worth a mention is The Storm, which is a unique ride that simulates a huge storm with thunder, rain and flashes of light. Don’t forget that in order to avoid the long queues, request your ESTA directly on the website. Although it is not as big as some of the others on this list, White Water Park compensates its size by its organisation and its focus on family. The new KaPau Plummet attraction is only for the brave among you, since the slide has a 70 degrees freefall. As well as the park in Dimas near Los Angeles, Raging Waters has two more parks in Sacramento and San José. With 50 world-class attractions and slides for all ages, you will probably need more than a day to try them all. If you want to try something new, go to Great White Shark Water Slide, which is a dark hole water slide where people ride in a boat. For over 15 years, Dollywood’s Splash Country in Tennessee has been a fun place for families to go to cool down with attractions, water coasters, restaurants and beautiful scenery. TailSpin Racer is its newest attraction. It is a slide where two people compete through obstacles such as closed curves. This park replaced Universal Orlando Resort’s first waterpark, Wet and Wild. Volcano Bay is based around a large volcano called Karakatu, which also appears in its logo. Since it is a new park which uses the latest technology, the TapuTapu bracelet is used to control the entrance to the attractions and therefore avoid long queues. Kalahari Resort is the United States’ largest indoor park. Since it is named after the Kalahari Desert in Africa, all its attractions and events are have the names of African animals and natural landscapes. You can learn to surf in the Flowrider wave simulator which recreates waves of up to 5 feet. Water Country has state-of-the-art water attractions and resort-style services. Visitors can go on an epic journey on the Colossal Curl: the boat goes down a slope and then goes up again on a huge inclined wall.